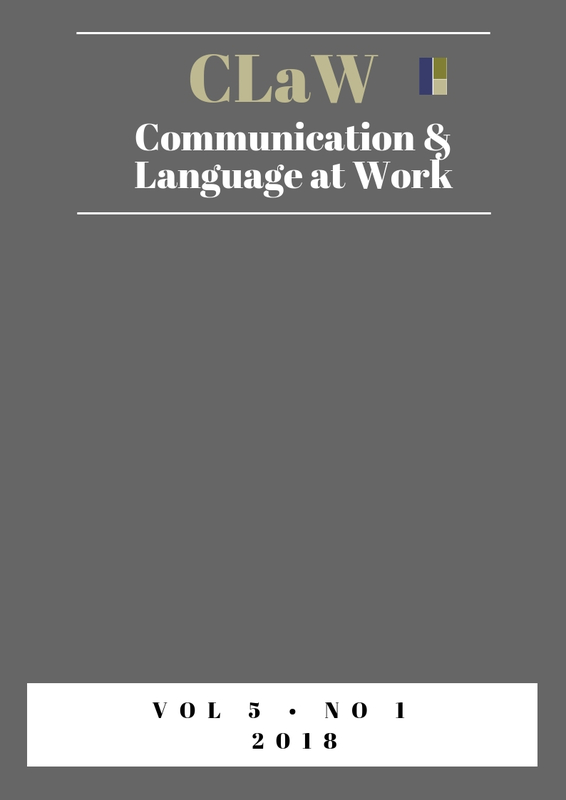 Communication as constitutive of work practices. We, the editors, are proud to bring you the 3rd edition of CLAW with a focus on Social Media and / in Business Communication! The topic of this issue stems from a feeling that the field of social media and / in business communication has now matured to an extent that would allow us to take a step back and to take a more evaluative look, if you will, at the field – as well as to open up a discussion as to the merits of companies’ social media presences. We, the editors, are proud to bring you the 2nd edition of CLAW with a focus on Technical Communication; not the least because we are confident in stating that this issue of CLAW is the strongest issue yet. It is so both in respect to content covered (spanning from the training of technical communicators, to insights into the professional practices of technical comminatory to the ROI of tech comm) and in regards to the authors of this issue (academics as well as technical communicators).